Turn your iPhone or iPad into the ultimate remote control for your Mac. Take full control over your Mac – use your iOS device as a trackpad and keyboard or launch any app from anywhere within your home. Tired of sitting on the couch, having to handle keyboard and mouse on your lap to control your media center Mac? Use Remote Control on your iPhone as a trackpad and keyboard to comfortably browse on the big screen TV. Using AirPlay Mirroring and an Apple TV, your Mac could be located anywhere in your home. Simply select your Apple TV from the list of available AirPlay devices and control your Mac from the comfort of your couch or bed. You can even start any app on your Mac, send your Mac to sleep, wake it up and perform many more useful actions to control your Mac remotely. All you need to do is download the Mac Helper application and connect your Mac and iOS device to the same WiFi. Remote Control will guide you through the simple setup process. - 3 steps, under 30 seconds super easy setup. 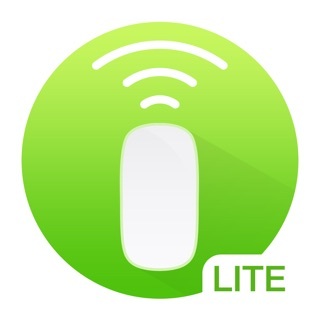 - LIFEHACKER: "This iOS app lets me control nearly every aspect of my Mac from my iPhone or iPad"
- MACSTORIES: "Remote for Mac is perfect for controlling a Mac that serves as a media center"
- MACOBSERVER: "This setup gives me full control of my Mac in the palm of my hand from anywhere in my house"
- Shared wireless network connection between your computer and iOS device. Ratings are like gold for indie developers like me, please give the app a quick rating on the App Store. Ratings are like gold for indie developers like me. 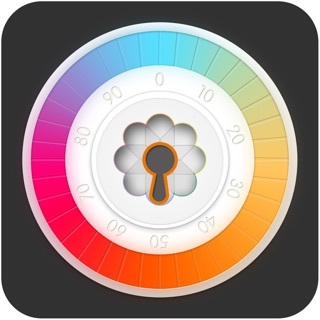 Please take a moment to rate the app on the App Store. This app (and its companions) are truly an exercise in thoughtful ingenuity. Basically if you want something, anything really, done on your Mac, this remote app allows you to either do it from a premade function within the app or spend a few minutes “building” the feature you want to use to manipulate your Mac with scripts and Siri commands (and I’m sure much more). I do wish the app developers website was more detailed in how to use the many, many, many features. I’ve mostly caught on but I can tell there’s this entire feature set waiting in there to be utilized but I’m just not savvy or knowledgeable enough to know and the directions are scant or relegated to more basic functions. However, having more options than you know how to use isn’t exactly my idea of a huge problem. The apps are constantly being updated and always becoming more useful and streamlined. It’s obvious with every update someone who cares about these products is on the other end dreaming up ways to polish the feature set. Thanks, friend! I record in a home studio for various types of commission work but I almost always record everything myself. This is an amazing tool that will allow you to adjust anything in your DAW when recording. I mix right in front of my computer and record, on the opposite side of the room, with a mic and headphones. It's a really big pain, while tracking, to play/sing hear and check the reverb or compressor - get up - adjust - check again - adjust - check one last time... This is no bueno. Now that I have this seamless easy to use app I tilt my computer monitor so I can see it from across the room and I use my iPhone to switch between this app and the Logic Remote app. It allows me to make adjustments without ever getting up from in front of my carefully positioned microphone. It allows for a more seamless workflow and it allows me to get more done faster. I didn't even take the time to understand how it works I just opened it, tapped on my computer and kept working. This developer knows what he's doing. Great job man. If you've read this far, just get it. You would probably be wasting you time if you didn't get it at this point. Trust me it's not worth tripping over that very expensive mic that your home studio cannot afford to replace. This app + Logic Remote app = the best productivity tool for the solo home studio musician. 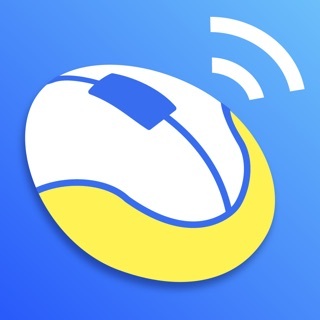 Best app to make your phone into a mouse. I like to hook my MacBook up to my tv. I use Bluetooth mouses and such, but I also tend to lose the usb thing or break the mouse somehow. I’ve tried other apps to make my phone a mouse, and being cheap I used the free ones. They never work that well and don’t usually last long before I delete them. I came across this one and decided to try it out. It has far exceeded my expectations. There is a pop up keyboard, volume controls, video controls (including ones for Netflix, VLC, and other video watching platforms). It also has controls for the computer like screen brightness/sleep/shutdown. I highly recommend this app.